But first, let’s take a step back and look into them as individual concepts, with respect to their relationships to investment and trading. Artificial Intelligence (AI) means software that after its initial programming continues to improve its performance based on experience of the environment it has been set to ‘learn.’ Unlike in movies, where AI is characteristically portrayed as menacing, human-destroying droids, AI software has actually bettered our lives in fields as diverse as healthcare, education, safety, transportation and entertainment. 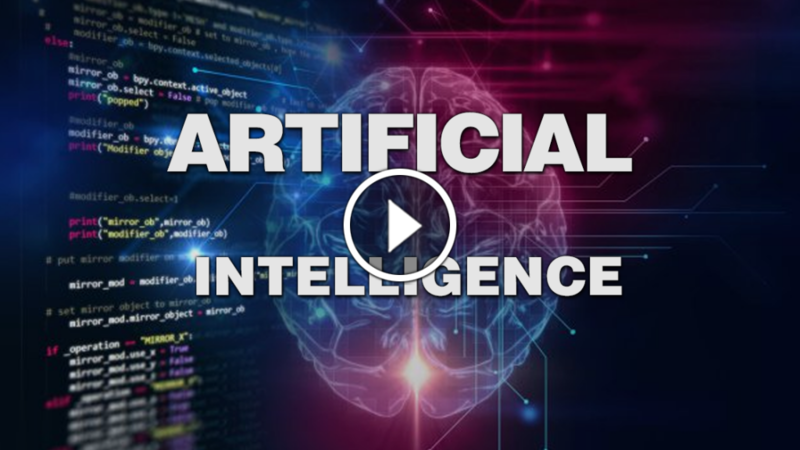 In the field of financial trading, AI has been clandestinely used for two decades to generate profits for hedge funds, banks and other large trading companies. In its early days, AI trading systems relied on human intervention to provide trade execution but since the rise of electronic exchanges, AI trading has probably changed the character of the world’s markets without the general public’s knowledge. Today, it is the hedge funds, banks and major international corporations like Goldman Sachs that are reaping the benefits from AI-based trading of forex and stock markets. These companies harness “deep learning” — evolving mathematical and statistical models of prediction and probability — to forecast the short-and-long term outcomes of various financial markets. These models, because of their nature, should be able to track the changes in market condition and therefore continue to improve their performance over time. Deep learning models aren’t concerned with the fundamentals of the underlying market. They work through pattern recognition, and like their human quantitative analyst counterparts seek the relationships between chart patterns and expected outcomes to generate a return. However, even the most disciplined human trader can be influenced by the fear of loss or greed which may change their trading behavior. AI Bots, however, execute trades consistently without emotion at lightning speed directly onto the exchange, placing and closing trades on behalf of their clients. They stick faithfully to limits, never lose discipline or waver from their assigned course based on the idiosyncrasies of emotion. Digital currency trading, which until recently has been mostly centered on bitcoin, has gained momentum in recent years. Since Feb 2011, when bitcoin stood at parity with the US dollar, bitcoin has risen to where it is trading now some six years later at prices between $1,200 and $1,425. The reasons behind Bitcoin’s success are many. Coupled with its decentralized nature which protects it from all good and bad government policies; bitcoin is beginning to be seen as a viable alternative in certain countries where hyper-inflation or lack of confidence in government has rendered the local currency a less attractive alternative. Bitcoin is also becoming easier to manage, simpler to use, safer than carrying paper money and cheap enough to transact and carry, without needing an intermediary. Despite the last 6 month’s remarkable price increase, bitcoin as an asset class has its share of ills, including periods of extreme market volatility. For example Bitcoin’s limited supply coupled with the inability of governments to intervene to counteract market forces means that bitcoin reacts quickly to market bias. Take for example, the very recent bitcoin ETF buzz: Bitcoin’s price trended northward comfortably ahead of the SEC’s ETF ruling amid growing optimism, hitting a peak of $1,327 a coin. But after the SEC shot down both the Gemini and SolidX bitcoin ETF projects, the price nosedived 20% before rallying within the month back to similar levels. In addition, shorter term fluctuations can be seen if one looks at intraday bitcoin charts. On average an BTC/USD chart, Bitcoin’s value fluctuates between 10 and 15 USD every 4 hours and sometimes quite a bit higher. For many investors, such fluctuations make bitcoin an uncomfortable investment choice. However, there are day traders who use this volatility to take tidy profits out of the market on a daily basis. These are the traders who are fixed, glued to their computer monitors and mobile screens all day long, tracking the market to enter and exit positions. So we return to the original question: “can a market as young and volatile as cryptocurrency be successfully partnered with Artificial Intelligence to produce a profitable outcome? With market capitalizations in the low millions up to low billions, cryptocurrency markets present too small an opportunity to interest most trading banks and hedge funds. They use the power of their deep pockets coupled with AI to generate massive profits from high frequency trading where a few millisecond advantage over competitors can generate big returns. This means, there is room while cryptocurrency markets are still in their infancy for AI developers to create systems that learn to identify profit opportunities in these young, highly volatile markets. And while a Goldman Sachs may snort at a market cap of 20 billion dollars, investors like you or me would be delighted with this kind of profit. We are starting to see young talent, like the people running the Our AI Bot blog out of the UK. These types of cryptocurrency enthusiasts are coupling their Deep Learning System knowledge with innovation, imagination and an understanding of the inputs that are relevant to predicting digital currency market movement to yield what look like fairly outstanding results.